We honor President James E. Faust. We miss him. His beloved wife, Ruth, is with us this morning, and we express our love to her. We welcome those who have been named to the positions that President Hinckley has outlined. Speaking for all of us who have been sustained today, we pledge to do our very best to be worthy of the trust placed in us. We have sustained the general officers of the Church in a solemn, sacred procedure. This common procedure occurs whenever leaders or teachers are called or released from office or whenever there is reorganization in a stake or a ward or a quorum or in the auxiliaries (see D&C 124:123, 144; see also D&C 20:65-67; 26:2). It is unique to The Church of Jesus Christ of Latter-day Saints. We always know who is called to lead or to teach and have the opportunity to sustain or to oppose the action. It did not come as an invention of man but was set out in the revelations: "It shall not be given to any one to go forth to preach my gospel, or to build up my church, except he be ordained by some one who has authority, and it is known to the church that he has authority and has been regularly ordained by the heads of the church" (D&C 42:11; emphasis added). In this way, the Church is protected from any imposter who would take over a quorum, a ward, a stake, or the Church. There is another principle unique to the Lord's Church. All positions to teach and to lead are filled by members of the Church. This too has been set forth in the scriptures. One verse in the Doctrine and Covenants established the order of leadership in the Church for all time. It was unprecedented, certainly not the custom of Christian churches then or now: "Wherefore, I the Lord, knowing the calamity which should come upon the inhabitants of the earth, called upon my servant Joseph Smith, Jun., and spake unto him from heaven, and gave him commandments; ... "The weak things of the world shall come forth and break down the mighty and strong ones, ... "... That every man might speak in the name of God the Lord, even the Savior of the world; "That faith also might increase in the earth; "That mine everlasting covenant might be established; "That the fulness of my gospel might be proclaimed by the weak and the simple unto the ends of the world, and before kings and rulers. "Behold, I am God and have spoken it; these commandments are of me, and were given unto my servants in their weakness, after the manner of their language, that they might come to understanding" (D&C 1:17, 19-24). I am deeply grateful for those scriptures, which explain that the Lord will use the "weak things of the world." Each member is responsible to accept the call to serve. 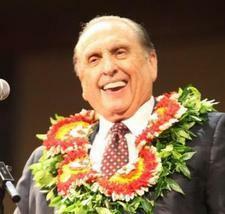 President J. Reuben Clark Jr. said: "In the service of the Lord, it is not where you serve but how. In the Church of Jesus Christ of Latter-day Saints, one takes the place to which one is duly called, which place one neither seeks nor declines" (in Conference Report, Apr. 1951, 154). The Church has no professional clergy. The call to leadership positions worldwide is drawn from the congregation. We have no seminaries for the training of professional leaders. Everything that is done in the Church--the leading, the teaching, the calling, the ordaining, the praying, the singing, the preparation of the sacrament, the counseling, and everything else--is done by ordinary members, the "weak things of the world." We see in the Christian churches their struggle to fill the need for clergy. We do not have that problem. Once the gospel is preached and the Church is organized, there is an inexhaustible supply of faithful brothers and sisters who have that testimony and are willing to answer the call to serve. They commit themselves to the work of the Lord and live the standards required of them. Members have had the Holy Ghost conferred upon them after their baptism (see D&C 33:15; 35:6). The Holy Ghost will teach and comfort them. They are then prepared to receive guidance, direction, and correction, whatever their position or needs require. (See John 14:26; D&C 50:14; 52:9; 75:10.) This principle sets the Church on a different course from all other Christian churches in the world. We find ourselves in the unusual position of having an endless supply of teachers and leaders, among every nation and kindred and tongue and people, all over the world. There is a unique equality among members. No one of us is to consider himself of more value than the other (see D&C 38:24-25). "God is no respecter of persons: but in every nation he that feareth him, and worketh righteousness, is accepted with him" (Acts 10:34-35; see also Romans 2:11; D&C 1:35; 38:16). When I was a young man, I was a home teacher to a very old sister. She taught me from her life experience. When she was a little girl, President Brigham Young came to Brigham City, a great event in the town named after him. To honor him, the Primary children, all dressed in white, were lined up along the road coming into town, each with a basket of flowers to spread before the carriage of the President of the Church. Something displeased her. Instead of throwing her blossoms, she kicked a rock in front of the carriage, saying, "He ain't one bit better than my Grandpa Lovelund." That was overheard, and she was severely scolded. I am very sure that President Brigham Young would be the first to agree with little Janie Steed. He would not consider himself to be worth more than Grandpa Lovelund or any other worthy member of the Church. The Lord Himself was very plain: "And whosoever will be chief among you, let him be your servant" (Matthew 20:27). "The same is appointed to be the greatest, notwithstanding he is the least and the servant of all" (D&C 50:26). Years ago when I first received an appointment that resulted in my picture being in the newspapers, one of my high school teachers, evidently quite astonished, was heard to say, "That just proves that you can't tell by looking at a frog how high he is going to jump!" The image of that frog, sitting in the mud instead of jumping, illustrates how inadequate I have felt when facing the responsibilities that have come to me. These feelings fix it so that thereafter one can never feel superior to anyone, not anyone. For a long time, something else puzzled me. Forty-six years ago I was a 37-year-old seminary supervisor. My Church calling was as an assistant teacher in a class in the Lindon Ward. To my great surprise, I was called to meet with President David O. McKay. He took both of my hands in his and called me to be one of the General Authorities, an Assistant to the Quorum of the Twelve Apostles. A few days later, I came to Salt Lake City to meet with the First Presidency to be set apart as one of the General Authorities of the Church. This was the first time I had met with the First Presidency--President David O. McKay and his counselors, President Hugh B. Brown and President Henry D. Moyle. President McKay explained that one of the responsibilities of an Assistant to the Twelve was to stand with the Quorum of the Twelve Apostles as a special witness and to bear testimony that Jesus is the Christ. What he said next overwhelmed me: "Before we proceed to set you apart, I ask you to bear your testimony to us. We want to know if you have that witness." I did the best I could. I bore my testimony the same as I might have in a fast and testimony meeting in my ward. To my surprise, the Brethren of the Presidency seemed pleased and proceeded to confer the office upon me. That puzzled me greatly, for I had supposed that someone called to such an office would have an unusual, different, and greatly enlarged testimony and spiritual power. It puzzled me for a long time until finally I could see that I already had what was required: an abiding testimony in my heart of the Restoration of the fulness of the gospel through the Prophet Joseph Smith, that we have a Heavenly Father, and that Jesus Christ is our Redeemer. I may not have known all about it, but I did have a testimony, and I was willing to learn. I was perhaps no different from those spoken of in the Book of Mormon: "And whoso cometh unto me with a broken heart and a contrite spirit, him will I baptize with fire and with the Holy Ghost, even as the Lamanites, because of their faith in me at the time of their conversion, were baptized with fire and with the Holy Ghost, and they knew it not" (3 Nephi 9:20; emphasis added). Over the years, I have come to see how powerfully important that simple testimony is. I have come to understand that our Heavenly Father is the Father of our spirits (see Numbers 16:22; Hebrews 12:9; D&C 93:29). He is a father with all the tender love of a father. Jesus said, "For the Father himself loveth you, because ye have loved me, and have believed that I came out from God" (John 16:27). Some years ago, I was with President Marion G. Romney, meeting with mission presidents and their wives in Geneva, Switzerland. He told them that 50 years before, as a missionary boy in Australia, late one afternoon he had gone to a library to study. When he walked out, it was night. He looked up into the starry sky, and it happened. The Spirit touched him, and a certain witness was born in his soul. He told those mission presidents that he did not know any more surely then as a member of the First Presidency that God the Father lives; that Jesus is the Christ, the Son of God, the Only Begotten of the Father; and that the fulness of the gospel had been restored than he did as a missionary boy 50 years before in Australia. He said that his testimony had changed in that it was much easier to get an answer from the Lord. The Lord's presence was nearer, and he knew the Lord much better than he had 50 years before. There is the natural tendency to look at those who are sustained to presiding positions, to consider them to be higher and of more value in the Church or to their families than an ordinary member. Somehow we feel they are worth more to the Lord than are we. It just does not work that way! It would be very disappointing to my wife and to me if we supposed any one of our children would think that we think we are of more worth to the family or to the Church than they are, or to think that one calling in the Church was esteemed over another or that any calling would be thought to be less important. Recently, one of our sons was sustained as ward mission leader. His wife told us how thrilled he was with the call. It fits the very heavy demands of his work. He has the missionary spirit and will find good use for his Spanish, which he has kept polished from his missionary days. We also were very, very pleased at his call. What my son and his wife are doing with their little children transcends anything they could do in the Church or out. No service could be more important to the Lord than the devotion they give to one another and to their little children. And so it is with all our other children. The ultimate end of all activity in the Church centers in the home and the family. As General Authorities of the Church, we are just the same as you are, and you are just the same as we are. You have the same access to the powers of revelation for your families and for your work and for your callings as we do. It is also true that there is an order to things in the Church. When you are called to an office, you then receive revelation that belongs to that office that would not be given to others. No member of the Church is esteemed by the Lord as more or less than any other. It just does not work that way! Remember, He is a father--our Father. The Lord is "no respecter of persons." We are not worth more to the onrolling of the Lord's work than were Brother and Sister Toutai Paletu'a in Nuku'alofa, Tonga; or Brother and Sister Carlos Cifuentes in Santiago, Chile; or Brother and Sister Peter Dalebout in the Netherlands; or Brother and Sister Tatsui Sato of Japan; or hundreds of others I have met while traveling about the world. It just does not work that way. And so the Church moves on. It is carried upon the shoulders of worthy members living ordinary lives among ordinary families, guided by the Holy Ghost and the Light of Christ, which is in them. I bear witness that the gospel is true and that the worth of souls is great in the sight of God--every soul--and that we are blessed to be members of the Church. I have the witness that would qualify me for the calling I have. I've had it since I met the First Presidency those many years ago. I bear it to you in the name of Jesus Christ, amen.